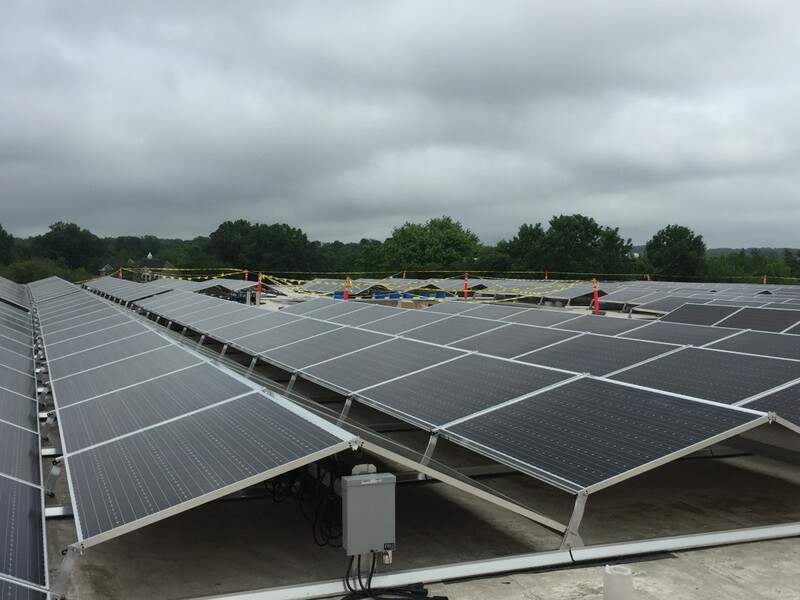 Standard Solar Installs 9MW on Rooftops in New York City and Washington, D.C.
ROCKVILLE, MD--(eSolarEnergyNews)--Standard Solar, Inc., a leading solar energy company specializing in the development and financing of solar electric systems nationwide, today announced it has completed and has ongoing solar projects on more than 35 rooftops in densely populated urban areas. Solar installations on rooftops of 30+ Washington, DC schools, police and fire facilities and seven rooftops on educational buildings and schools in New York City, successfully demonstrate that solar can be installed in even the most challenging of environments. Urban environments provide a vast number of empty rooftop spaces that can be utilized for solar, with the added advantage of inherently avoiding the potential land use and environmental concerns. According to a recent study by the Energy Department’s Renewable Energy Laboratory (NREL), America’s rooftops are full of untapped potential. In fact, up to 39 percent of America’s energy could be generated just by installing photovoltaic (PV) solar panels on urban rooftops. “Once considered too expensive and too challenging to install, rooftop solar in urban environments has been an overlooked opportunity to both harness and deliver energy directly where it is being used. Our projects in New York’s Brooklyn, Jamaica, Queens, Flushing, Astoria, Staten Island, Bronx and in Washington, DC are great examples of how solar on rooftops in urban areas can be successful,” said Tony Clifford, Standard Solar’s Chief Development Officer. Rooftop Solar Panels in Washington, DC. Clifford has been at the forefront of driving Standard Solar’s expertise in urban rooftops and nearly every other area of project development and policy. To reflect this increasingly critical role, Tony Clifford has transitioned his CEO responsibilities to Scott Wiater and will now serve the company as Chief Development Officer. Scott Wiater is now CEO and President of Standard Solar. “For nearly 10 years I have served as CEO of Standard Solar and I am very proud of everything the company and the solar industry has achieved during my tenure. I’m excited to transition to the Chief Development Office role where I can continue to drive critical projects, corporate strategy, develop new markets and keep a watchful eye on policy in D.C. and at the state level,” said Clifford. “Tony’s leadership has been critical to the success of Standard Solar. Most recently, Tony has been the driving force behind the success of some our most important and innovative projects, including the NY and D.C. urban rooftops. His success in developing key projects, combined with his monumental efforts in the solar policy arena, naturally led to this new role that will allow him to focus on these vital areas,” said Scott Wiater, President & CEO of Standard Solar.